The board of California's giant pension system is considering a disastrous proposal to reinvest in tobacco corporations. Shockingly, it was revealed this month that staff and paid advisors to California's biggest pension fund, CalPERS, are recommending that the system reinvest in tobacco companies. If CalPERS' board agrees, this would reverse an important fifteen-year old policy. CalPERS trustees, who include state officials John Chiang and Betty Yee, should just say no to this toxic proposal. Tobacco kills. Over the last several decades, herculean efforts have been made by activists, medical practitioners, researchers, lawyers, and politicians to reduce deaths from tobacco. Thankfully, much progress has been made, especially in California. Wendy Max, a health economist at UC San Francisco, and the co-director of the Center for Tobacco Control Research and Education, told the Express she is "appalled" by the potential reinvestment in tobacco corporations. Research by Max and others has found that health costs for tobacco-related illnesses in California alone approach $10 billion a year — a significant drag on the economy. Money from large investors is the lifeblood of corporate activities and a pro-tobacco decision by CalPERS will be seen as support for the tobacco industry, which is currently inducing tobacco addiction in other parts of the world where public health regulations are weaker. The ostensible reason that CalPERS staff and advisors gave for reinvesting in tobacco is to make more money for the pension system so that it can more easily pay out retirement benefits to its members — state and local public employees. But tobacco profits today come from reprehensible activities such as marketing deadly products to the youth of Asia, moves into e-cigarettes — the long-term health impacts of which we do not yet understand — and increased sales efforts in vulnerable US communities. 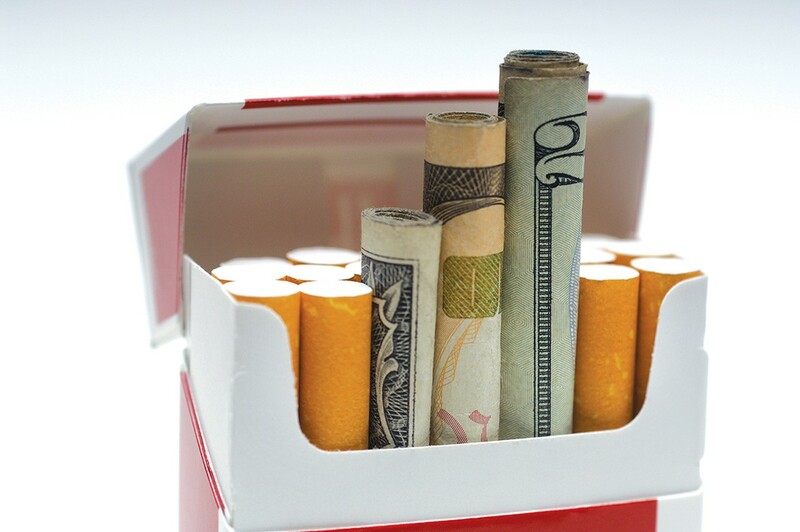 Investing in this "spawn of the devil," a moniker many public health champions have used to identify the tobacco industry, is not necessary for the health of CalPERS' portfolio. Many fruitful investments exist, such as in needed societal infrastructure. And CalPERS can reduce costs, especially if the system is attentive to investment fees it pays its outside managers. CalPERS, and the state's other big pension system, the State Teachers Retirement System (CalSTRS), have already made many successful investments in socially beneficial enterprises. CalSTRS' "21 Risk Factors" and CalPERS' "Investment Beliefs" have been shining beacons for large investors around the world who want to make a positive impact on public health, the environment, and human rights. Both funds are leaders in the field of "sustainability." But influential forces are pushing back. The Wall Street establishment hates discussions of societal effects of investments, and powerful firms like Pension Consulting Alliance and Wilshire Consulting enforce an ideological discipline on trustees, making sure they do not stray too far from the Wall Street narrative. These two entities make millions off of California retirees and argue constantly for an end to "divestment," whether it concern coal or tobacco. For example, just last week, a consultant from Pension Consulting Alliance counseled trustees of the City of Oakland's police and fire pension system not to divest from fossil fuels because it might produce "suboptimal returns." While the term is demonized by Wall Street, "divestment" simply means choosing not to put pension fund money into the stocks or bonds of certain companies and industries whose business models or activities are harmful, and who have shown little willingness to change. Such choices are part of any kind of active stock picking, and every investor engages in some sort of "divestment." But when the decision is made to refuse to invest in certain areas in order to protect the lives of the beneficiaries and their families — such as in the case of tobacco, guns, or fossil fuel stocks – the establishment cringes. Unfortunately, many pension fund staffers are unwilling to stand up against the Wall Street narrative. There is another important reason for CalPERS trustees to reject tobacco investments. Financing tobacco will undermine public support for CalPERS at a time when defined benefit pensions have never been more important, or more under stress. CalPERS' "twin," CalSTRS, is already facing reputational damage from the dodgy use of its billions to help private equity billionaires raid companies and shutter factories (see "Financing the Destruction of American Lives," Raising the Bar, 6-17-15). Similarly, CalSTRS and CalPERS investments in gun companies that manufacture assault weapons undermined the reputation of both pension systems as forces for economic good. If California's public pension funds do not more clearly consider the needs and desires of their beneficiaries, many workers will start to demand new pension plans in which they can assure that their investments don't conflict with their beliefs or harm their families and communities. Unfortunately, such sentiments are sure to be coopted by those whose real aim is to decimate defined benefit pensions. This issue could become a problem for the proposed Secure Choice California system, an admirable fledgling effort to facilitate pensions for small business employees. Secure Choice pension investments would likely be influenced by the same consultants who are pushing for deadly tobacco and coal investments. Whatever the motivations of CalPERS staff and consultants, trustees are the last line of defense to protect the holistic interests of their beneficiaries. CalPERS prides itself on its considerations of sustainability, yet tobacco investments are the antithesis of sustainability. If trustees do not take personal responsibility for the lives of their beneficiaries on the issue of tobacco, the health of their beneficiaries, as well as their defined benefit pensions, could suffer an irreparable blow.